The GAMSAT “test run”. Will you end up another crash test dummy? The GAMSAT test run. Otherwise known as the “trial run”, “first attempt”, “going to see how I go”. It can be a very beneficial experience, hey, it might be enough to get you a place into med school! But you can easily end up as just another GAMSAT crash test dummy. Rather than squandering a lot of money and wasting an entire day, here’s how to best use your “GAMSAT test run” opportunity. 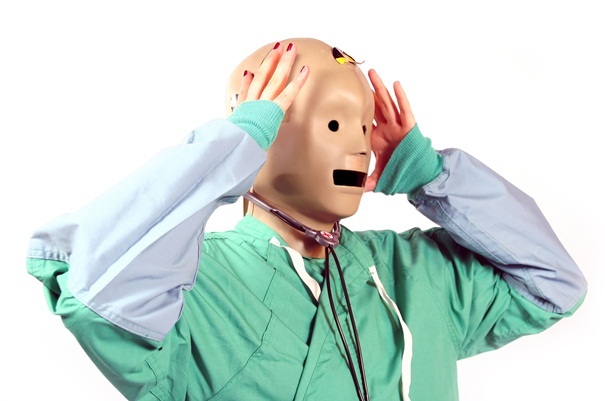 Are you the next crash test dummy? If you’ve never sat GAMSAT before, there are a lot of unknowns. Is the test harder than the practice books? How will I deal with the pressure? Do I have the stamina to last the whole day? What strategy will I take when answering the questions? How will my result compare to the rest of the cohort? Some of these questions can only be answered in one way-by sitting the GAMSAT. However there are some aspects that can be worked through before you enter the testing centre. Here I discuss the benefits of the “GAMSAT test run” and 5 ways to get the most out of it. Depends on how prepared you are. Be prepared to be faced with questions that are outside of the concepts that appear in the practice books. You should have a good idea of what concepts are testable across all subject areas. Ratio of Biology/Chemistry/Physics: Often students will say to me “there was so much organic chemistry!”. This is more a reflection of the student perhaps not feeling as confident with organic chemistry and so spending more time on those questions and then feeling like the test was full of them. The ratio of Biology/Chemistry/Physics doesn’t change much from test to test and the ratio of general chemistry to organic chemistry remains pretty much constant too. If you come out feeling like there was a lot of one particular area, or that you struggled with, or took more time on particular questions, make a note of this to add to your study plan for round two. Do a practice test (or two) under test conditions in the weeks leading up to the exam. This is possibly the one of the best preparation tools you have. Remind yourself that it’s not the end of the world if don’t get the marks you want this time. The test is stressful enough as it is, putting extra pressure on yourself is just counterproductive and can actually make you perform worse. Don’t let other test candidates put you off your game! Get into a good headspace going into the test and don’t let others nerves or overt confidence interfere. If you feel you didn’t go as well as you would have liked in the first section, don’t let that taint the rest of your day. Put it behind you and move into Section III with confidence. Use visualisation techniques in the weeks and months leading up the exam to help you maintain confidence, positivity and a clear head on the day. Again, taking a practice test or two under test conditions leading up to the day is invaluable. Use it to work on your focus and concentration limits. Eat food that is low GI and will keep your energy levels stable throughout the day. You aren’t allowed to eat food during the test, so make sure you eat well on the day prior and have a decent breakfast and packed lunch. The brain is an energy hungry organ, so the last thing you want is to start feeling light headed because you’ve hit a sugar low midway through section III. Be prepared for the unknown. Wear layers-as testing centres might be colder or hotter than the environment you’re used to working in. Or you might warmer on the day because of your nerves! Be aware that the GAMSAT is designed to be HARD. It is designed to separate out the cohort as much as possible. This means that even if you only have time to answer two thirds of the questions, you could still end up with a pretty competitive result. At the end of the test, take note of how many questions you answered with confidence, how many were educated guesses, and how many you simply bubbled in because you ran out of time. This information along with your results can help you to formulate a strategy if you have to sit a second time around. What will you do in the reading time-start answering the first question, look at what questions are there, or start reading through a particularily long stimulus? Will you answer all the questions in the order they appear, or will you answer all the chemistry questions first? Whatever you do, you need to have a clear plan in place about what you will as soon as the exam commences. This will help calm your nerves, give you focus and ultimately save you time because you wont be floundering trying to decide what to do on the day. If you don’t get the marks you want first go, your result is really the best indicator of how much work you have to do. You may be surprised at how well you did in sections I and II, but shocked at your Section III (science) mark. Most students seem to underestimate the amount of preparation required to do well in section III. Section III is weighted double, so a good score can really bump up your overall GAMSAT result. Use your mark from your first go as tool for devising a plan for future attempts. You can draw motivation from your score and focus on areas that you know you need to improve on. You can also be pragmatic, work out what sort of preparation or extra help you might need. Whether that’s a designated science course, a GAMSAT study plan, or just a kick up the bum to get you a bit more focussed and determined with your study efforts. If you’re after some advice based on your specific background, please don’t hesitate to get in touch, or join our mailing list, or drop us a line using the red “contact us” pop up at the bottom right of this page.